Escorted by tugs, the cruise ship entered the port of Molde around 16.15. 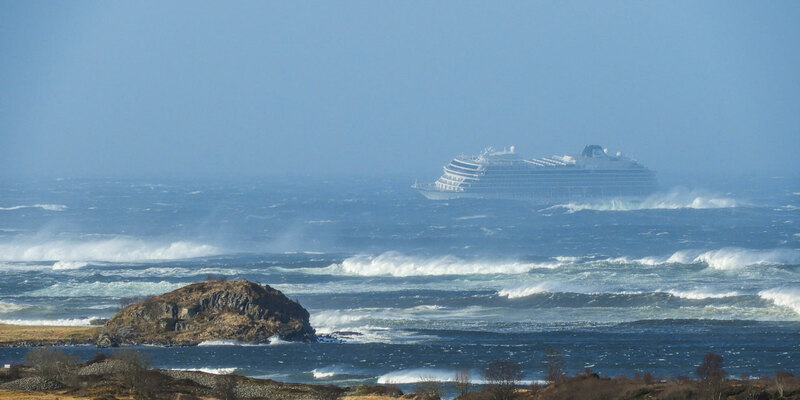 The liner Viking Sky returned safely to the mainland Sunday after a dramatic day due to engine failure in the perilous waters of western Norway, according to television footage. Escorted by tugs, the cruise ship entered the port of Molde around 16.15. Nearly one third of its 1,373 occupants had previously been evacuated by helicopter as part of a spectacular rescue operation.